Arts Centre Studio, University of Warwick. Download the official poster of the event. 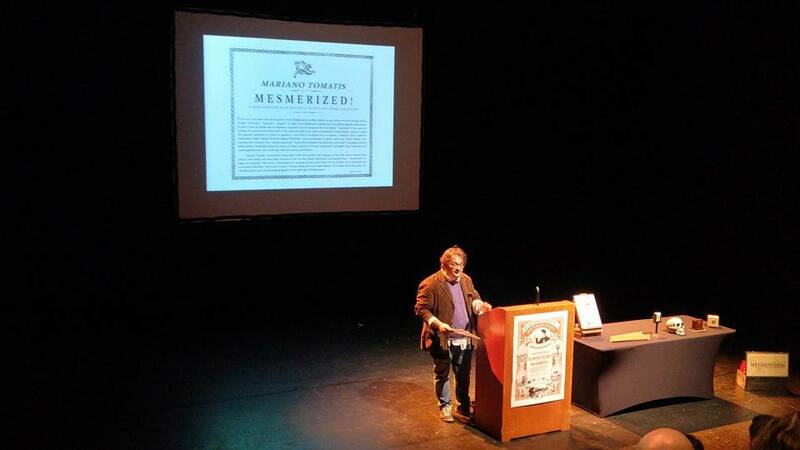 Slides, script and audio track of the lecture show by Mariano Tomatis. 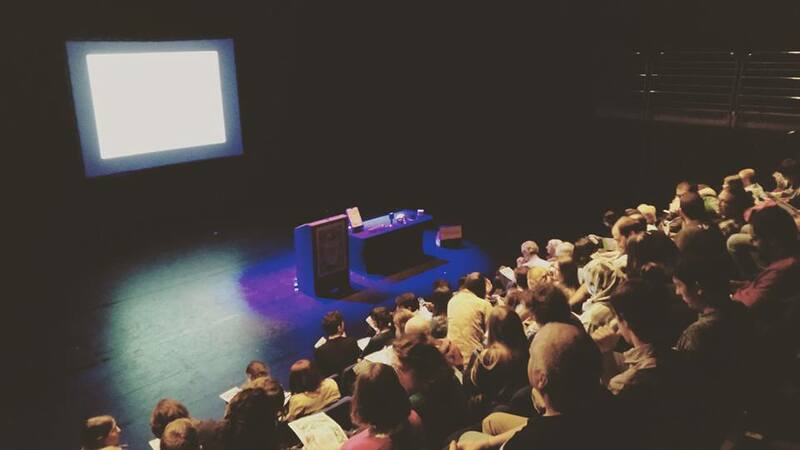 Click to see slides, script and listen to the audio track of the lecture show. Even in its very name, the cultural project of the Enlightenment is often defined through references to the semantic sphere of light: “illuminer”, “rayonner”, “éclairer”. In spite of this intellectual, cultural, and even political agenda, 18th-century Europe is also the golden age of charlatans, magicians, and necromancers of various kinds. “Magnetism” is the password granting the access to the Otherworld. 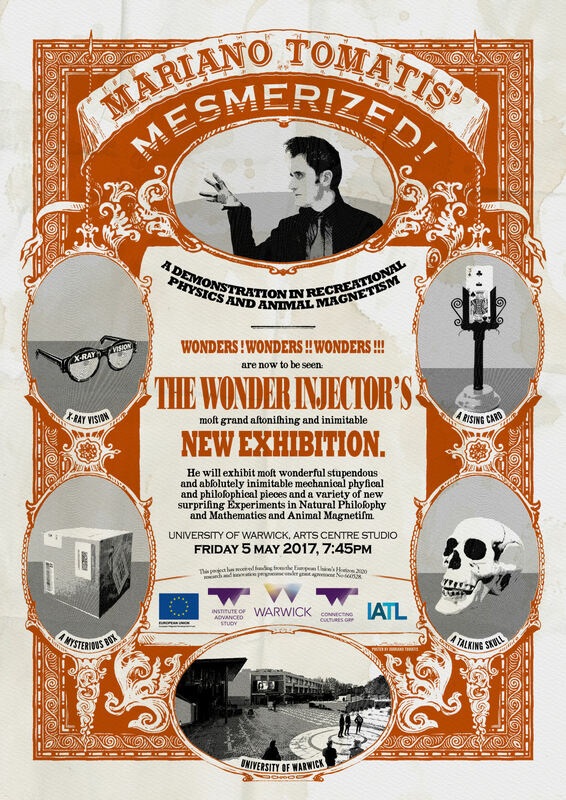 In the streets, but also in the rooms of aristocratic or royal palaces, conjurers exploit the magnetic properties of stones in ingenious ways; Pinetti’s automata seem to possess a conscious mind; Cagliostro manipulates magic mirrors, Étienne-Gaspard Robertson creates projections of ghosts, and Franz Anton Mesmer even postulates the existence of an “animal magnetism”. Long before nowadays’ discussions on “post-truth”, newspapers and the public debate vehemently discuss the nature of reality, opposed to illusion, enchantment, and belief: when witnessing such amazing phenomena, can we still trace a line between fact and fiction? 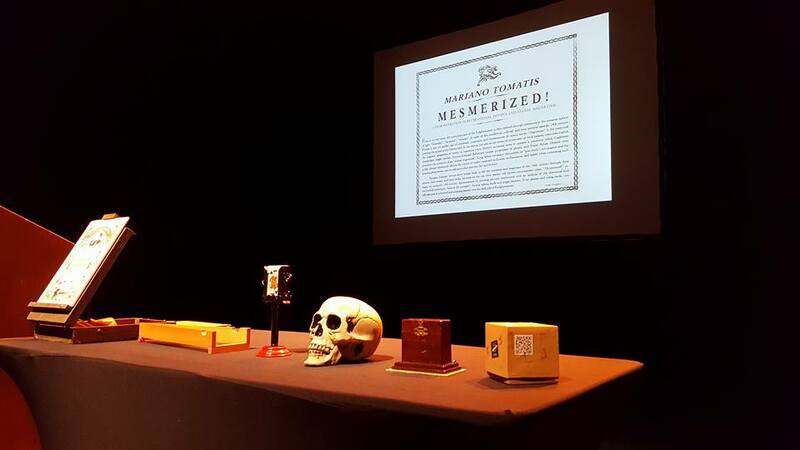 Mariano Tomatis’ lecture-show brings back to life the scientists and magicians of the 18th century through their objects, their stories, and their tricks, focusing on the way their shadow still haunts contemporary ideas. “Mesmerized!” re-stages an authentic 18th-century demonstration in amusing physics, intertwined with an analysis of the rhetorical and mechanical techniques “behind the curtains”. Among talking skulls and magic lanterns, X-ray glasses and rising cards, you will take part in a learned and amazing journey into the dark side of Enlightenment. 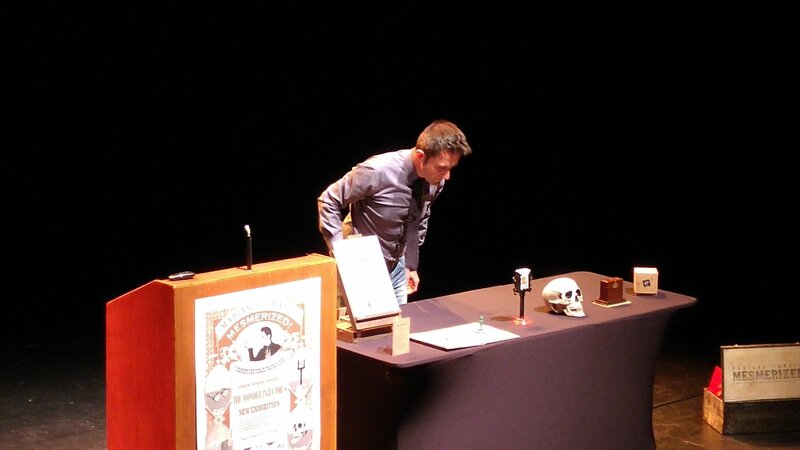 Paraphernalia from the lecture show. The Master of Ceremonies Fabio Camilletti introducing the event. Mariano activates the Magic Robot (slide 76 here). 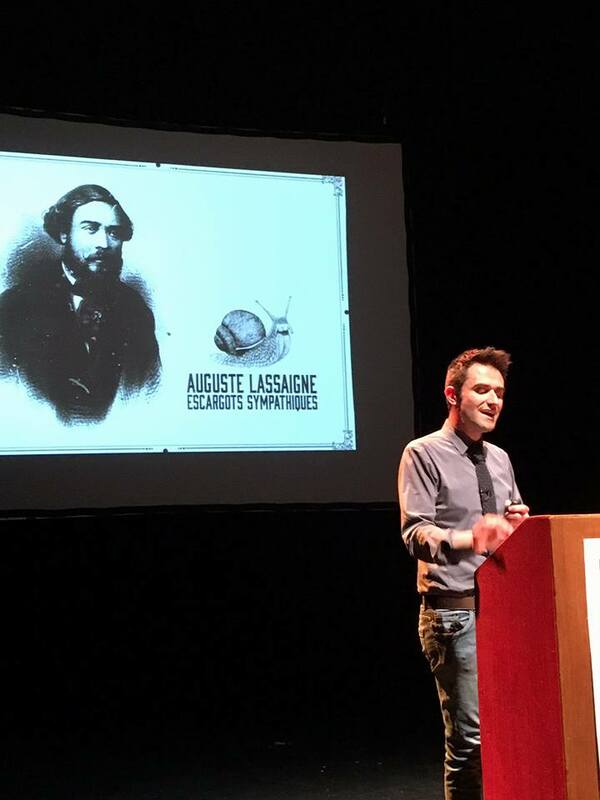 Mariano Tomatis and Auguste Lassaigne’s Sympathetic Snails in Gianmarco Mancosu’s shot (slide 86 here).